The government draft for the transposition of the new EWC Directive has been up for vote in the London parliament since April 6th, 2010. It was signed by the minister for employment relations on March 30th, 2010. Although the law will only come into force in June 2011, members of parliament must decide on the matter within 40 sitting days. A new House of Commons is to be elected on May 6th, 2010 and will hold its constitutional meeting on May 25th, 2010. Following a public consultation, the Department for Business, Innovation and Skills (BIS) presented draft legislation on 19th November 2009 which fell far below the aspirations of trade-unions in key areas (see report in EWC News 4/2009). Altogether 44 associations, trade unions as well as members from seven European Works Councils with suggestions of their own, participated in the consultation which ran until February 12th, 2010. Following consultation and renewed discussions with the European Commission in Brussels the ministry amended its draft. The definition of information and consultation was taken word-for-word from the new Directive. The British government, however, expressly avoids giving any injunction rights in the case of unsatisfactory consultation procedures; it merely raises the maximum fine from £ 75,000 (€ 85,000) to £ 100,000 (€ 114,000). The provisions of means for European Works Councils are not laid down in the law but defined in a set of non-binding guidelines provided by the ministry. In an assessment, the ministry calculates the estimated costs arising for British companies from European Works Councils: the establishment of an EWC is estimated at £ 130,000 (€ 148,000) with running costs amounting to £ 175,000 (€ 200,000) per year. Out of this sum, £ 38,000 (€ 43,000) alone are allocated for trainings. British EWC bodies therefore position themselves considerably below the EU average estimation of £ 214,000 (€ 244,000) per year. According to a report from 2008, the costs for French EWC bodies are the highest (see report in EWC News 3/2008). Works council members who wish to familiarize themselves with the situation of employee representation in the UK subsequent to the House of Commons election have the opportunity during an EWC Seminar in Hamburg on January 25th, 2011. English interpretation will be available. Portugal has already transposed the EWC Directive (see report in EWC News 4/2009) although trade unions see the need for improvement. The government in Lisbon has indicated that it is prepared to amend the legislation. In Austria legislation is to be drafted by a working group by the end of 2010. A solution is to be negotiated between the social partners in Belgium by the end of June, 2010. Employers are taking a very restrictive attitude. In both Denmark and Norway the process started in January 2010. Employer federations refused in Sweden to work on a common draft with trade unions. The government will therefore present a simplified proposal for November 2010. Trade unions fear that the Directive will be badly transposed. A first meeting has taken place between the DGB and the Department of Employment in Germany. The draft legislation is expected late however, presumably beginning 2011. No preparation work at all has been announced in France. The greatest taboo seems to be the question of sanctions which the European Parliament was able to negotiate into the draft legislation at the last minute (see report in EWC News 4/2008). Should European Works Councils not obtain binding provisions for injunction against unsatisfactory information and consultation by central management (see report EWC in News 1/2008), they would remain "toothless tigers". This has always been the aim of the British government who openly supported the employer’s position during the revision procedure (see report in EWC News 4/2008). For several months now, the socialist government’s harsh austerity programme has given rise to protests. In a general strike on March 11th, 2010, trade unions demanded a more equitable distribution of the burden of the financial crisis. The rescue package for Greece is also under criticism from the European Trade Union Confederation (ETUC) in Brussels since it had not been previously agreed upon by social partners. On March 9th, 2010, the ETUC demanded a new “Social Deal” for the whole of Europe. The 2,500 employees of the Bank of Ireland’s British subsidiaries have their own representation structure: five staff councils from each of the business divisions meet at least bimonthly together to form a UK Partners’ Council. This forum (resembling a national works council) meets once per quarter and is headed by a full-time chairwoman – both rather unusual exceptions on British standards. Each chairperson of the five staff councils has one day per week time-off and all other 45 members one day per month. Over the past two years, with the help of consultants, the bank’s employee representatives have developed a tool for measuring job satisfaction. In every business division they make a barometer which is updated monthly. All areas are assigned a green, yellow or red status. For the "Hot Spots" identified with red an action plan is then prepared. The chairwoman of the UK Partners' Council regularly presents a group level barometer to the company’s CEO. France is the EU country with highest number of trade unions and the lowest member figures. Whilst, in many other countries, trade unions are merging to combine their strengths, in France, the trade union landscape has further fragmented over the last few years. The new collective bargaining legislation which came into force on January 1st, 2009 aims at reversing this trend (see report in EWC News 4/2008). The CFE-CGC and UNSA trade unions in France Télécom whose company groups had merged in 2008 want now to include the Christian trade union CFTC. The 10,000 employees of the business customers division (similar to T-Systems at Deutsche Telekom) gave this trade union alliance a 60% majority in the works council elections in January 2010 while the CGT and CFDT were left in the minority. The FO union has lost its negotiation status in all areas of France Télécom. This conference, on the 5-6th July 2010, provides an opportunity for anyone wishing to get deeper knowledge of the French trade-union and works council systems. Apart from the new EWC Directive, it will also treat the subject of how the EWC deals with restructuring. Simultaneous interpretation will be available (German, English, French). The participation fee for EWC members has to be borne by central management. On January 29th, 2010 a court in the Slovakian capital Bratislava ordered the subsidiary of the Kühne + Nagel haulage group to communicate all information required for the establishment of a European Works Council to the German national company in Hamburg. It is the first verdict in Slovakia in an EWC matter. The EWC Directive came into force when the country joined the EU in 2004. Employee representatives have been trying in vain, since 1996, to establish a European Works Council in the haulage group Kühne + Nagel (see report in EWC News 1/2008). Central management in Switzerland is trying to delay the creation of the EWC through legal obstruction and had forbidden all of its EU subsidiaries to communicate information to Germany. This had already triggered a string of complaints in Austria (see report in EWC News 3/2007) and also in Sweden (see report in EWC News 1/2009) leading to the very first verdicts ever passed on EWC matters in these countries. The European Commission in Brussels reacted to the case by introducing relevant provisions within the new EWC Directive ("lex Kühne + Nagel"). The European court of justice in Luxembourg (photo) ruled on February 11th, 2010 that, under EU law, employee representatives do not automatically benefit from more protection against dismissal than normal employees. The verdict originates from proceedings in Esbjerg (Denmark). A works council member fired in 2006 from the engineering firm Babcock took legal action for unfair dismissal. The ruling is also of major significance for European Works Councils since the EWC Directive does not provide any unified protection against dismissal. The level of protection depends rather on the rules of the country of origin of each EWC member. Almost all EWC agreements have done the same hereby firmly rooting unequal treatment within the European single market. The very extensive protection rights against dismissal for works council members in Germany or France must be contrasted to the weak protection in the UK or Eastern Europe. The industrial tribunal in Antwerp, Belgium was the first ever to rule on protection against dismissal of EWC members (see report in EWC News 4/2009). On February 19th, 2010, the court of appeal in Chartres ruled that the Dutch electronics group, Philips, should resume production of flat-screen televisions in its Dreux plant (Central France) within eight days, provide works council members free access to the factory premises and should stop the implementation of a redundancy plan which the company had announced unilaterally. The company was sentenced to pay a penalty of € 25,000 per day if it did not comply with the court order. The court objected that neither the works council nor the central works council had given an opinion on the plant closure and that the employer had therefore disregarded the consultation rights of the employee representatives. Similar rulings are continually being reported from France (see report in EWC News 4/2009). This example shows the possibilities that French labour legislation offers to employees. Since the EWC Directive is based on the same concept of information and consultation, European employee representation bodies can use similar arguments when confronted with unsatisfactory consultation procedures. Some remarkable cases can also be observed in the courts, e.g. the merger that was stopped by the Gaz de France EWC (see report in EWC News 1/2008). On March 8th, 2010 the highest Finnish court of justice (photo) sentenced the Fujitsu Siemens computer company, to pay compensation amounting to 3 million € to dismissed employees. The verdict is based on a decision of the European court of justice of September 2009 which defined for the first time the correct consultation procedure for mass redundancies (see report in EWC News 3/2009). In the year 2000 the Espoo plant near Helsinki was closed without correct consultation of employee representatives. The European workforce of the Areva group’s electricity distribution division is to be given a 3 year employment guarantee following its sale to Alstom and Schneider Electric. The consultation of the Areva European Works Council was concluded on 7th January 2010 with this promise on behalf of both buyers’ managements. In September 2009 there had been protests against the sale simultaneously in eight European countries (see report in EWC News 3/2009). To prevent any subsequent workforce reductions in Alstom and Schneider Electric, a similar agreement for all three French groups involved is to be negotiated. To this end, the three European Works Councils gave a mandate to the European Metalworkers' Federation (EMF) in Brussels which has already gained experience with such agreements. In July 2007, Schneider Electric had already reached an agreement on the anticipation and management of employment skills and socially responsible company policy (see report in EWC News 2/2007). On February 23rd, 2010 trade unions and central management of the French conglomerate GdF-Suez signed two agreements: a Europe-wide agreement on employment and skills planning and a worldwide agreement on occupational health and safety. Both agreements were based on the texts originally signed in July 2007 for Suez before the merger (see report in EWC News 2/2007). The DHL parcel service is relocating its headquarters from Brussels’ airport to Germany, Czechia and Costa Rica. With the help of the European Works Council an agreement was signed for the 788 employees concerned on March 31st, 2010. It provides social measures to soften the blow of layoffs. Only regional activities of DHL will remain in Belgium. The closure was accompanied by months of protests (see report in EWC News 3/2009). An agreement was signed on April 9th, 2010 between the central management of Econocom, the European Works Council and Belgian and French trade unions concerning the relocation of business activities to Morocco. It covers both the information and consultation procedures as well as severance packages ranging from two to ten months salary. Econocom has a 2,300 strong workforce in Benelux, France, Germany, Spain, Italy and in the UK and a European Works Council since 2007. Following the acquisition of the Belgian copper manufacturer Cumerio by Norddeutsche Affinerie the merged company was renamed to Aurubis. Since October 8th, 2009, Aurubis has an EWC agreement under German law. It covers six EU countries and Switzerland and already embodies the definition of information and consultation taken directly from the new EWC Directive. The twelve EWC members meet twice yearly. The four member select committee selected from different countries are to be consulted under extraordinary circumstances. Central management in Hamburg bears the costs for training and a permanent expert. Whereas the Norddeutsche Affinerie did not yet have any transnational employee representative body, Cumerio had had a EWC in place under Belgian legislation since 2006. At the end of October 2009 an EWC agreement under Dutch law was signed covering the 2,000 employees of Cehave Landbouwbelang. The co-operative company from Veghel (Nordbrabant) produces pet food and is represented with branch offices in Belgium, France, Spain, Germany, Poland and Hungary. The EWC will already operate on the basis of the new Directive. Employee representation bodies are currently also being created in Poland and Hungary. An EWC agreement was signed for International Paper in Brussels on January 12th, 2010. The EWC meets twice per year under the chairmanship of the employer, who is also the general secretary. The employees' side elects a speaker and another three members to a steering committee, which meets twice per year. Although the European headquarters is situated in Brussels the EWC agreement is under British law. This U.S. company employs around 5,500 employees from twelve EU countries, with over half from Poland. The EWC has members from Poland, Belgium, France, Italy and Spain. Countries with few employees are not represented. The definition of information and consultation is based largely on the new EWC Directive. On February 2nd, 2010, the Hans Böckler foundation published for the first time figures and data on the development of supervisory boards with a one-third participation of employee representatives. This ruling is valid for companies in Germany with between 500 and 2,000 employees, and joint parity co-determination starts with more than 2,000 employees. In comparison with figures on joint parity supervisory boards which have been regularly recorded for years (see report in EWC News 2/2009), the survey now available from the University of Jena is a novelty. It identifies almost 1,500 companies with one-third participation. On the other hand there are around 700 companies with joint parity supervisory boards. The data is of significance since many German companies, with just under the 2,000 employees, wish to avoid transitioning into joint parity co-determination by the conversion into Societas Europaea (SE). Although only 72 German companies have, as of 1st April 2010, opted in favour of the SE legal structure, this represents however more than half of the 136 SE in operation throughout Europe. This means of restricting co-determination rights is specifically highlighted in the business press (see report in EWC News 2/2008). Besides transformation to SE status, foreign legal structures also offer a means of keeping employee representatives away from supervisory boards. The increase in this kind of co-determination dodging is on a percentage basis as high as that for the SE. The Hans Böckler foundation published an analysis on the subject on March 17th, 2010. According to the report, the number of international companies which are excluded from German co-determination rights in the supervisory board, solely as a result of a foreign legal company structure, has increased to 37, as of November 2009. The largest company from this group is the U.S. packaging and courier company United Parcel Service (UPS) with around 15,000 employees in Germany. The airline Air Berlin, the textile retail chain Hennes & Mauritz, the haulage group Kühne + Nagel, the direct bank Cortal Consors and the McDonalds fast-food restaurant chain also belong to this group. Besides the British Ltd status, the U.S. Inc and the Dutch B.V. are often resorted to. The European Commission started a public consultation on the statute of the European Company (SE) on March 23rd, 2010. According to law, in October 2008, it should have already reviewed the directives on employee participation within the SE. The revision was, however, postponed (see report in EWC News 3/2008) and shall now be dealt with at the same time as the revision of the SE statute. The legal counselling firm Ernst & Young was commissioned by the European Commission and presented a report on the operation and consequences of the SE statute on 9th December 2009. The question of employee participation in the SE is however only marginally mentioned. Since January 18th, 2010 the Hochland group in Heimenkirch (Germany) has been operating as an SE. The family business with its 4,300 employees is one of the biggest cheese producers in Europe. There are production sites in France, Spain, Poland, Romania, Switzerland and also in further countries outside the EU. The SE agreement has no provision for employees in the supervisory board but for a SE works council. Previously there had been no European Works Council in Hochland. Since February 23rd, 2010 the headquarters of the Elster Group has moved to Essen. The company with 7,500 employees in 38 countries was previously registered in Luxembourg. An SE agreement was reached after only two months between the employee representatives from 14 European countries and central management. Until 2005, the Elster Group operated under a different name as a subsidiary of Ruhrgas. It now belongs to finance investors with headquarters in the Cayman Islands and Luxembourg. The Elster Group does not have a supervisory board and management oversight is instead carried out by an administration board, following the French-Luxembourg model. Only shareholder representatives sit on this board without any employee representatives. Whereas many companies use SE-transformation as a means to restrict co-determination rights the British oil group, BP, has combined its European business into one SE under German law whilst maintaining the previous level of co-determination. As of April 30th, 2010 all petrol station and refinery activities in Germany, Austria, Poland, Belgium and the Netherlands with 11,600 employees have been brought together under the BP Europe SE with headquarters in Hamburg. Within the coming months the BP companies in Switzerland and in Luxembourg will be added as well as possibly the UK. BP is market leader in Germany with its Aral brand of petrol stations. The SE co-determination agreement provides for a twelve member joint parity supervisory board in the future with three employee representatives from Germany and one each from Poland, Austria and the Netherlands. The previous supervisory board of the German BP situated in Bochum was also a joint parity-based board. There has already been a European Works Council in place at the group headquarters in London since 1994, covering also other countries. In April 2008 the company reached a European-wide restructuring agreement (see report in EWC News 2/2008). No SE-Works Council is to be established in BP but a special EWC committee will deal with SE specific matters. A similar solution was also chosen for the SCA group in June 2009 (see report in EWC News 3/2009). The Nuremberg district court ruled on February 8th, 2010 that one more employee representative may be added to the supervisory board of the consumer research company GfK. In the future it will consist of ten members, of whom four are employee representatives. GfK has been a European Company since February 2009 (see report in EWC News 1/2009). An agreement had been reached on the extension of the supervisory board between the new SE Works Council and the central management of GfK on April 8th, 2009. It violates a rule in German SE-participation law which specifies that the number of supervisory board seats must be divisible by three. The verdict from Nuremberg gives more bargaining autonomy for the social partners to deviate from the exact wording of legislative text. It also has a consequence on the machine manufacturer MAN whose supervisory board is also not divisible by three (see report in EWC News 1/2009). Members of the ArcelorMittal international occupational safety committee visited sites in South Africa on January 27th and 28th, 2010 to work towards improving safety regulations. The committee was established following an agreement in June 2008 (see report in EWC News 2/2008) and has already initiated programmes in Kazakstan, Brazil, Mexico, Czechia and Romania. An international framework agreement was signed by Shoprite Checkers at their headquarters in Cape Town on February 23rd, 2010. This is the first agreement of its kind in the African retail trade and applies to 1,300 businesses in 17 African countries as well as in India. Negotiations with trade unions had been dragging on for more than three years. The Tesco trade union network met in Liverpool on March 1st and 2nd, 2010. This global forum was created in June 2008 (see report in EWC News 3/2008) and is working towards the conclusion of an international framework agreement as well as on the establishment of a world works council. In June 2009 the British trade union, USDAW, which represents the retail trade employees, had come to an agreement with Tesco’s central management on the establishment of a European Works Council. On March 25th, 2010 a framework agreement was signed for the media group, Media Prima Berhad, for the safeguarding of social standards. The company is market leader in Malaysia and operates also in Ghana and the Philippines. A day later, a comparable agreement was also signed for the market leader in Indonesia, the media group Antara. Flexible working hours are very common in Scandinavia, particularly the compensation of accumulated overtime by days-off. Part-time work is most frequent in the Netherlands and the least in Middle and Eastern Europe. Overtime is usually compensated for by time-off in Germany and Belgium, whereas, the payment of overtime is more common in East European countries. The influence of employee representation bodies is the greatest on the topic of occupational health and safety issues and the least in company restructuring. Wage bargaining is most widespread in Italy and Spain and hardly present at all in the Baltic countries. Since February 10th, 2010, the Hungarian economy professor László Andor (43) was named the new EU Commissioner for Employment, Social Affairs and Inclusion. From 2005 to 2010 he belonged to the administrative board of the European bank for reconstruction and development, was for a long time a business consultant for the socialist government in Budapest and commissioned by the European trade union institute in Brussels for research work on the labour market and the introduction of the euro in Central Europe. On March 24th, 2010 the European Commission started the first consultation round with the social partners for the revision of the working time Directive applicable since 1993. Negotiations between the council and parliament had failed in April 2009. The social partners now have six weeks to present their positions. The Generali Italian insurance group’s EWC has recently put in place a home page of its own in three languages. Reports from EWC meetings, press releases and other important documents may be downloaded from the site. The Generali EWC agreement was updated in 2007 following European-wide protest demonstrations (see report in EWC News 1/2008). During a meeting on March 17th, 2010 in São Paulo (Brazil) the global trade-union organization for the services sector (UNI) together with delegates from twenty countries developed a campaign to persuade the two bank groups HSBC and Santander to sign an international framework agreement. A week of action had taken place previously in both banks in February 2010. A new web site informs employees in the construction industry on all matters related to foreign posting. It was constructed by both trade unions and employers' federations in this industry. For each EU country, employee rights and obligations can be consulted, details on minimum wages, working time and occupational safety. On March 29th, 2010, the European Commission introduced a salary calculator which determines the pay gap between men and women. Furthermore counselling centres are listed for all EU countries. We have arranged various further interesting web-pages into a collection of links. A research project at the Ruhr university in Bochum on European Works Councils in the motor industry has been in progress since 2007 (see report in EWC News 2/2007). The results are now available in book form. An English-language publication appeared under the title "European Works Councils in complementary perspectives" at the end of 2009, the German-language title "Transnationale Mitbestimmung?" will be available as of May 2010. In January 2010, two legal commentary books on German Industrial Relations legislation were published with chapters devoted to cross-border works council work. The 122 page third edition of Franz-Josef Düwell's legal commentary deals with the European Works Councils and the SE legislation. The twelfth edition of Prof. Dr. Wolfgang Däubler comment also includes a 97 page chapter on EWC and SE law supplemented with a set of forms and a CD-ROM. Both commentaries have already taken into account the new EWC Directive. In December 2009, the DGB training institute and IG-Metall trade union published together a country booklet on working conditions in Turkey. This is a completely revised version of the original edition dating from the year 2005. One chapter deals with the state of relations with the EU into which Turkey has been trying to negotiate its entry since 2005 (see report in EWC News 2/2007). The London based group of lawyers with close union ties, Thompsons Solicitors, deals in the spring issue of its magazine "Labour & European Law Review" with consultation procedures in British companies. One article analyses the legislation from 2005 for information and consultation in the workplace which was the transposition of an EU Directive. Up till now however, this legislation was hardly ever used by British trade unions or employees. Further contributions describe the procedures for mass redundancies and transfer of business, where the legal situation in the United Kingdom was also improved considerably by EU legislation. The training and consultancy network "euro-workscouncil.net" invites European Works Council members to a second edition of its advanced seminar in Hamburg from January 25th – 26th, 2010. After the great success of the previous year (see report on the EWC advanced seminar in 2009) the event has been extended from one to two days. Altogether 43 participants, with EWC members from 26 companies, were able to follow the presentations given by speakers from both home and abroad. The agenda of the first day dealt with the legal and practical problems of EWC work, the second day was completely devoted to the theme "participation à la française". 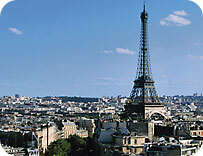 This focus on France is to be continued in a German-French EWC conference in Paris on July 5th and 6th, 2010. According to a survey carried out by the Hans Böckler foundation in February 2010 private suppliers and trade unions share the training market for works councils almost equally within Germany. In 2008 one in every five works council members, representing altogether 80,000 representatives, took part in training. Under German legislation the costs of such training have to be borne by the employers. This could lead to the development of many private suppliers who would be increasingly in competition with the trade unions. Many such institutes have been created by experts with close ties to trade unions or former trade union officers. The market share for private suppliers is even higher in France. The Hans Böckler foundation had already reported on similar trends in a survey on works council consulting services in December 2007 (see report in EWC News 1/2008). The new survey has also reported on the training and consultancy network "euro-workscouncil.net”, that not only runs many in-house events but also publicly announced conferences and seminars since January 2009. Over 114 participants from 65 different companies have taken part including almost all trade unions affiliated to the DGB confederation. The seminar program of "euro-workscouncil.net"
The Germanischer Lloyd technology group wishes to convert into a European Company (SE). The special negotiation body (photo) was established in a meeting in Hamburg on February 17th and 18th, 2010 in order to negotiate an SE agreement with central management. It is made up of 32 members from almost all countries of the European economic area. Prof. Dr. Bernhard Nagel and Dr. Werner Altmeyer of the training and consultancy network "euro-workscouncil.net” were appointed experts. Within the previous months (see report in EWC News 1/2009 ) they had already drawn up an draft agreement with the German Central Works Council. The training and consultancy network "euro-workscouncil.net" is advising the SE works council of the Donata Holding in Ludwigshafen how to improve its work. The main focus is on the creation of working groups and training programs. To this end, an application for financial support is being prepared for the European Commission. Perfume brands such as Calvin Klein, Davidoff, David Beckham, Jil Sander, Joop and Lancaster come under the umbrella of the Donata Holding and its U.S. subsidiary Coty. As the world's biggest fragrance manufacturer Coty has branch offices in 16 EU countries, as well as Switzerland and Monaco. There was a European Works Council since 1996 which was replaced by a SE Works Council in 2007. On January 29th, 2010 another edition of the Germano-Austrian ver.di and GPA EWC newsletter was published dealing with the transposition of the EWC Directive. Further topics are covered such as: the Deutsche Telekom and IBM European Works Councils, the establishment of the EWC at SAP, the new supervisory board of the Münchner Rück insurance group, contacts between works councils of Interspar in Austria and Czechia as well as Internet and literature tips. The newsletter is developed in conjunction with the training and consultancy network "euro-workscouncil.net". In the coming months the "euro-workscouncil.net" training and consultancy network in cooperation with partners from four other countries is organising a number of trainings on the new EWC Directive. The project is commissioned by UNI, the European trade-union organization for the services industry. Since 1998 the ifb has been offering seminars for European works councils which were developed in conjunction with the training and consultancy network " euro-workscouncil.net ".